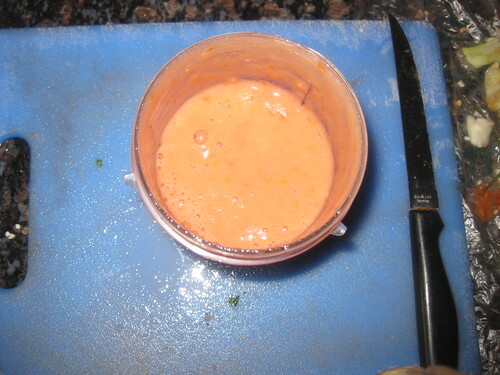 In mix jar add the tomatoes make into pure and keep it aside. 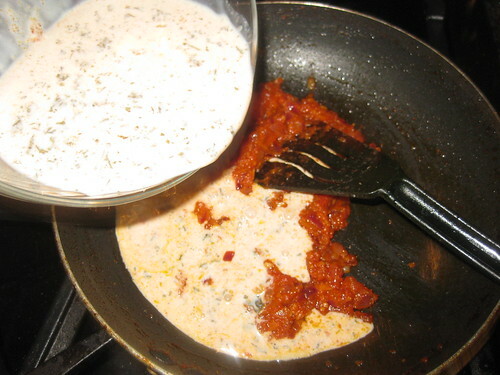 In a bowl add chilli powder,coriander powder,garam masala powder,dried kasoori methi leaves,tomato sauce then milk mix well.Keep it aside. 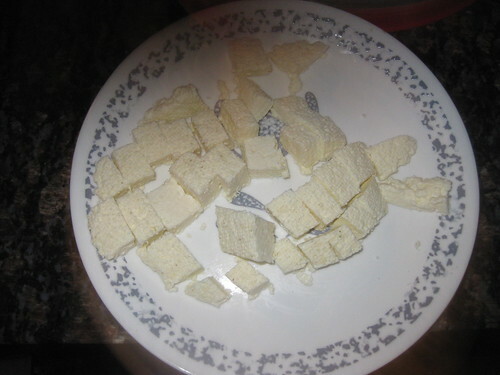 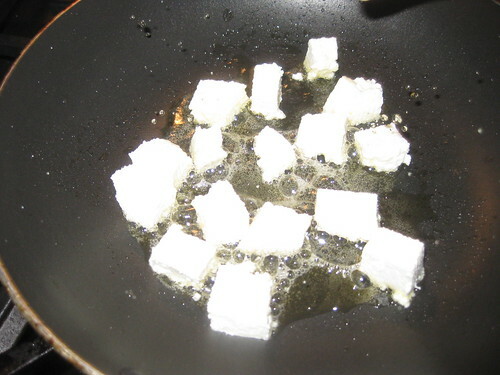 In a pan add a tsp of oil ,fry the paneer cubes till slightly golden brown and drain in a tissue paper and keep it aside. 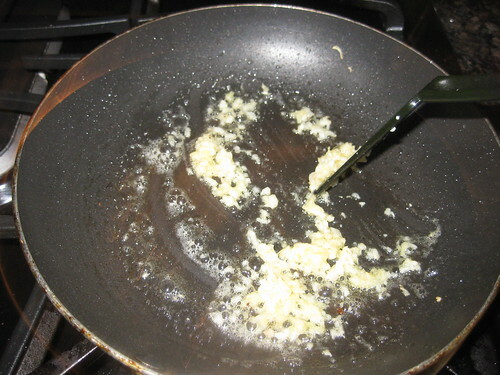 Now add butter in the same pan,allow it to melt hen add ginger garlic paste saute for 2 mins. 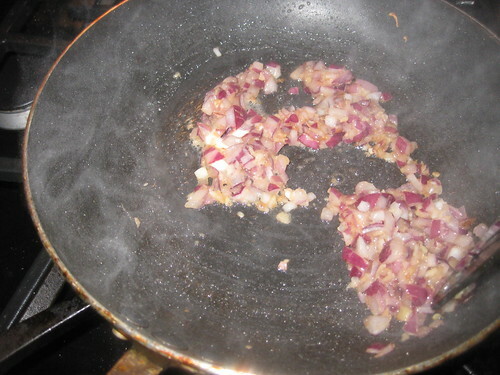 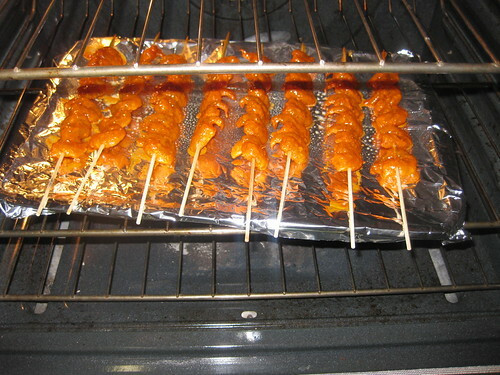 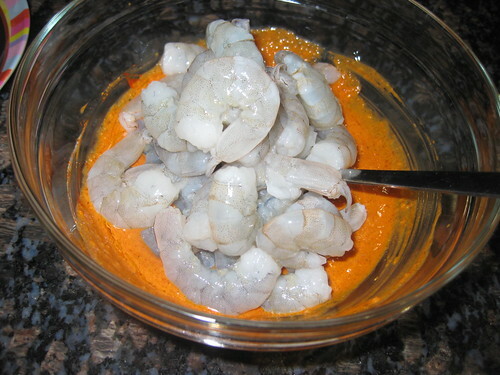 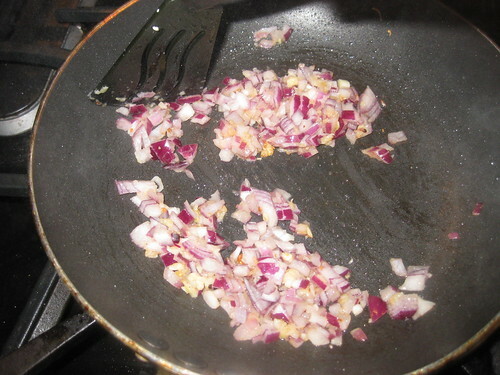 Then add the onions and fry ill golden browned. 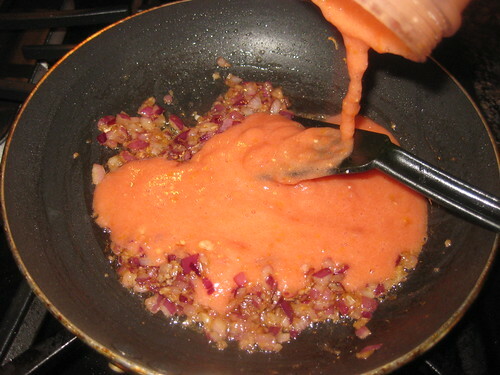 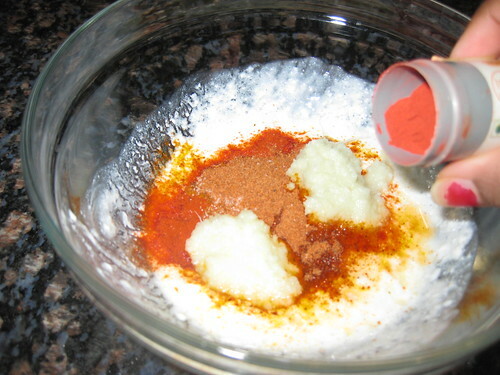 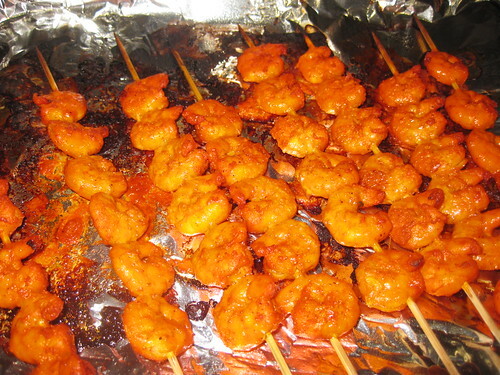 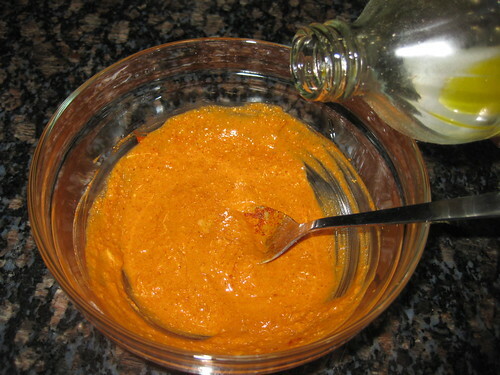 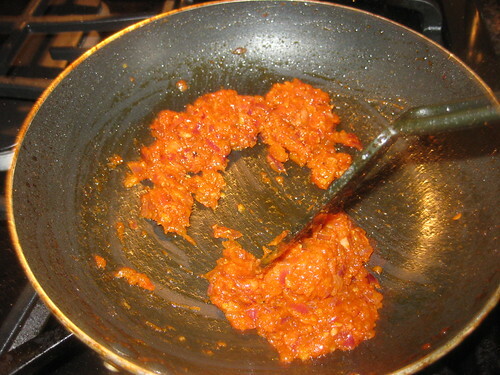 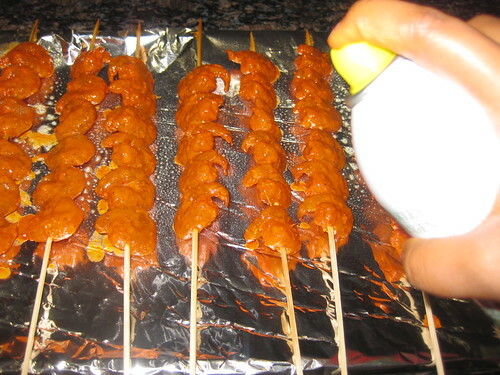 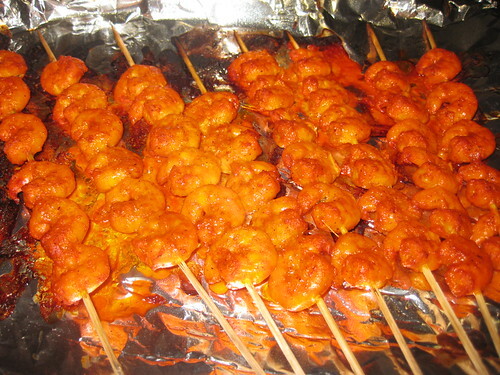 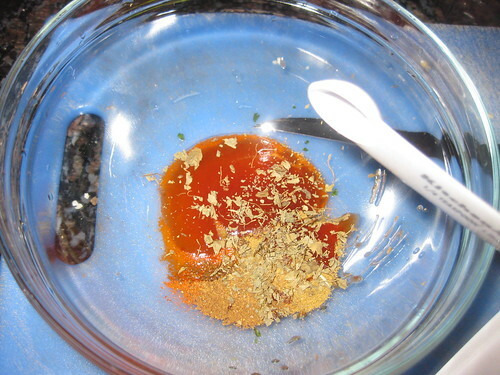 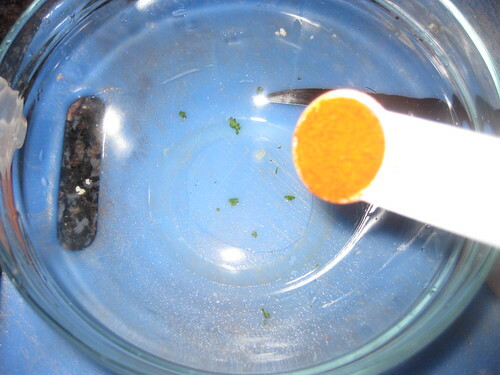 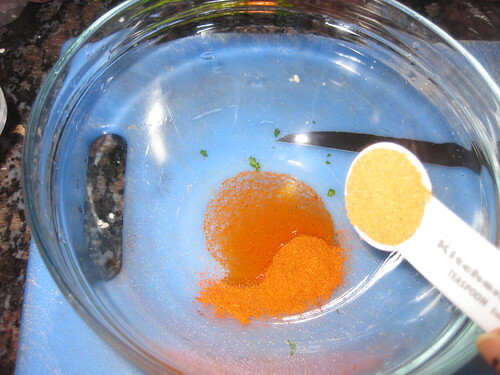 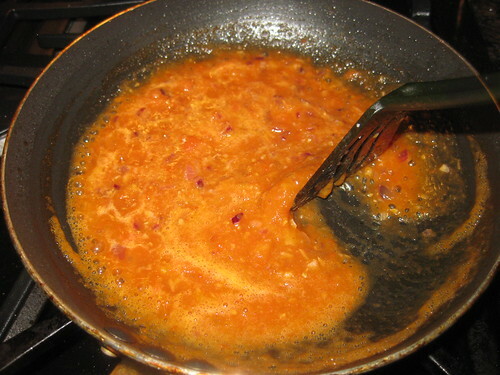 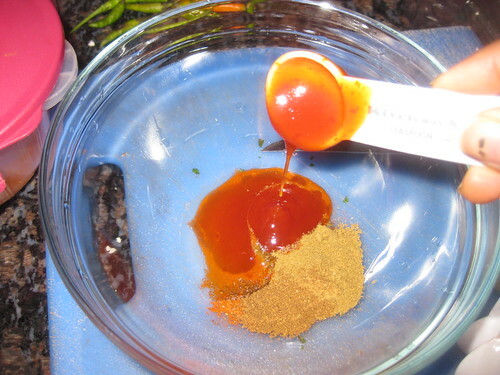 Then add tomato pure and fry until raw smell completely leaves. 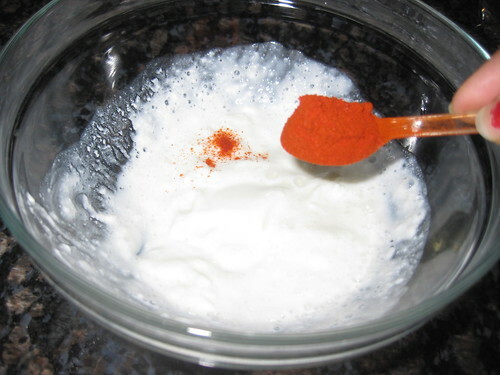 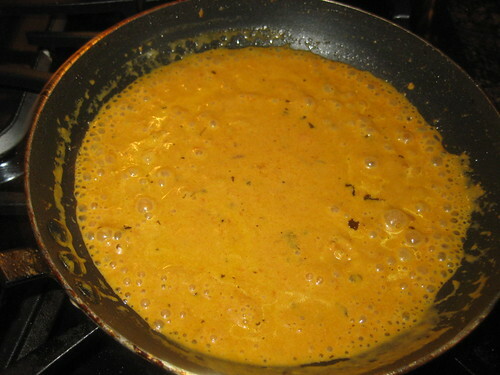 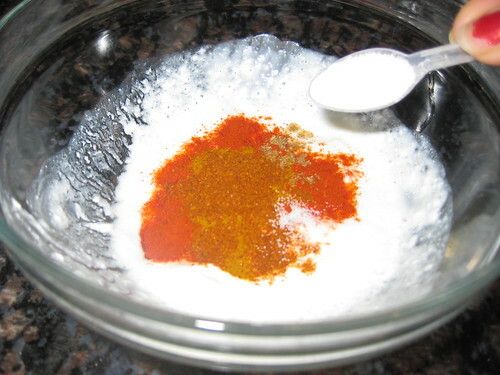 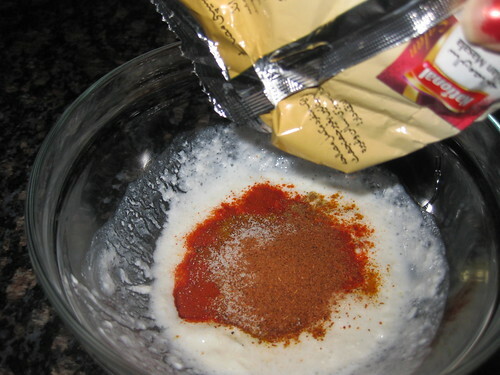 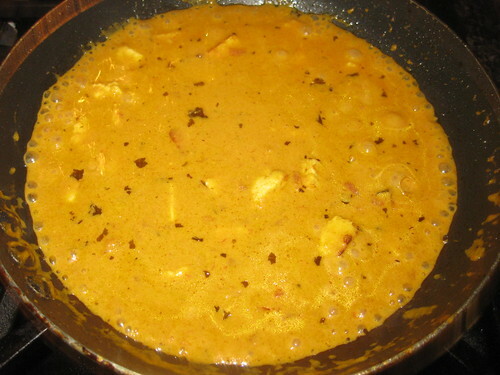 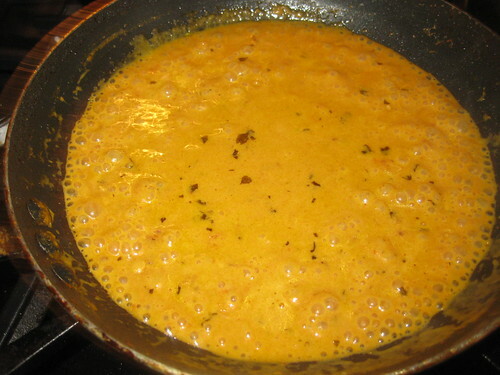 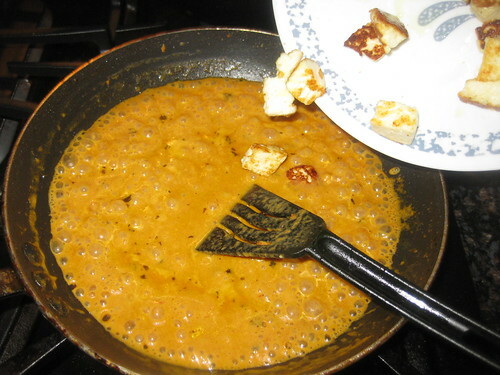 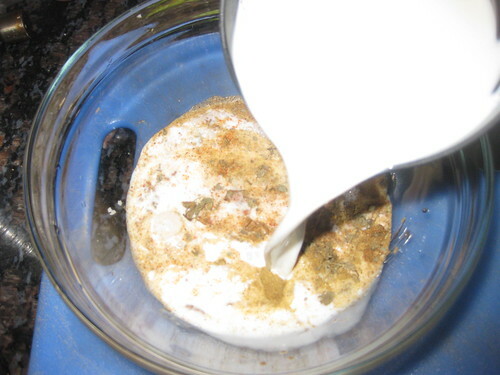 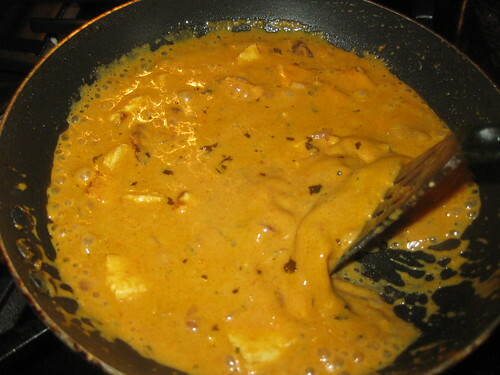 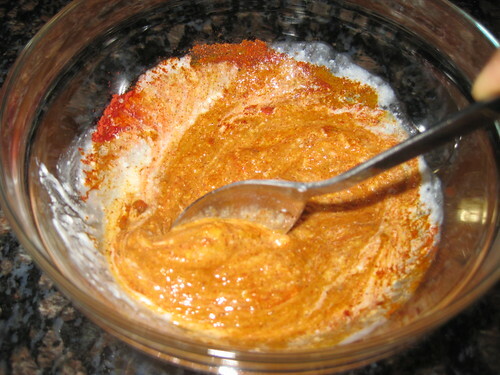 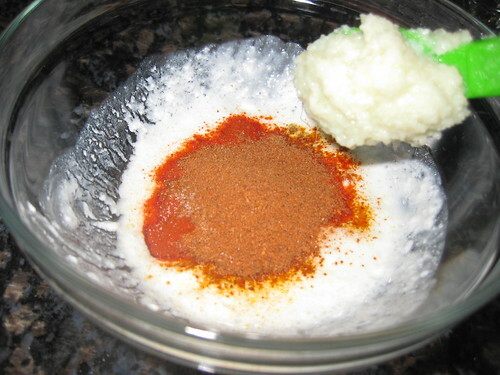 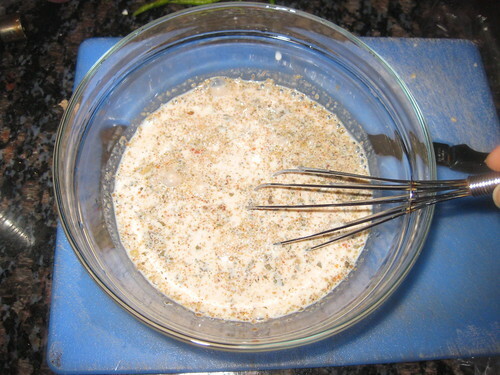 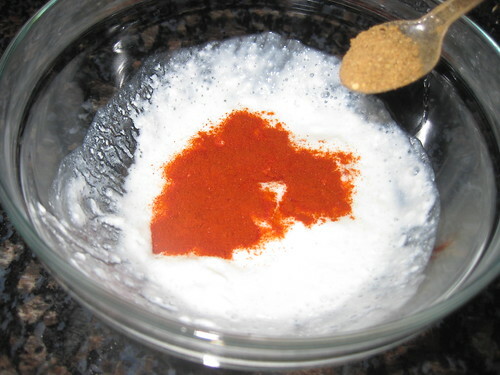 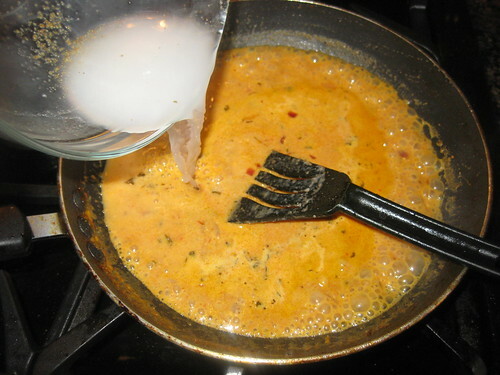 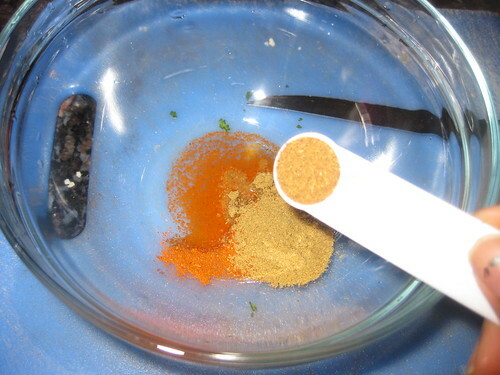 Now add the mixed milk-spices mixture,1/2 cup water and then simmer for 5-7 minutes. 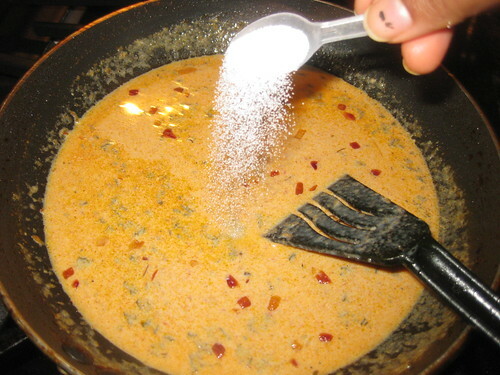 Add required salt. 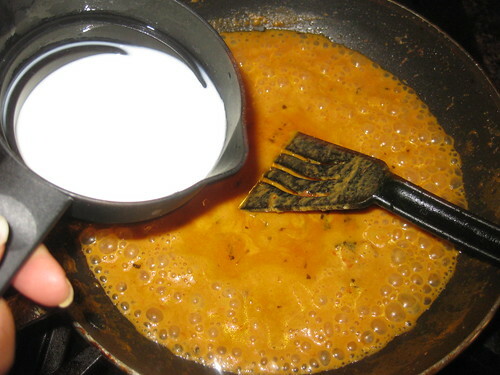 The gravy would be thick and mix well at this stage.Add remaining 1/2 cup milk or cream little by little stirring continuously to prevent milk from curdling. 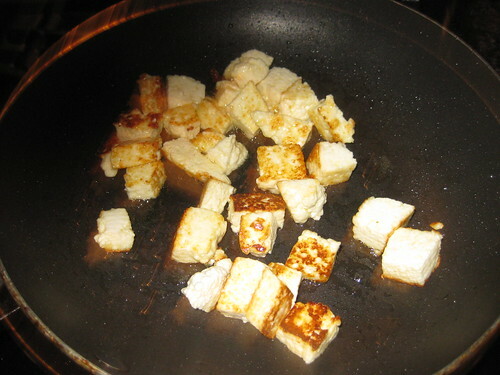 simmer again for 3 minutes to see like the below consistency.Then add the fried paneer cubes and mix well.Allow the paneer to sit for 3 minutes then switch off. 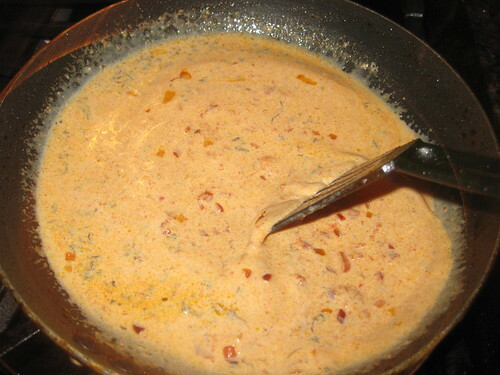 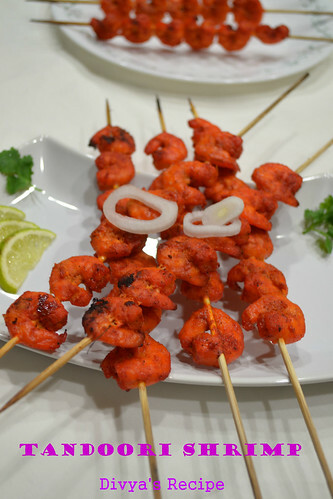 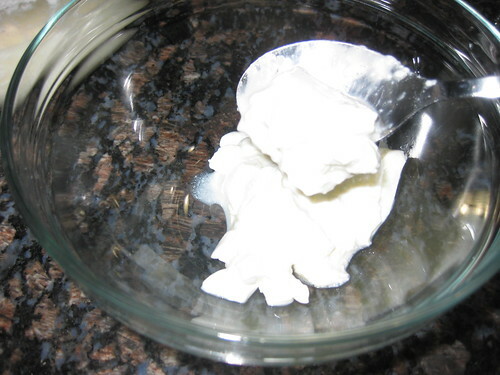 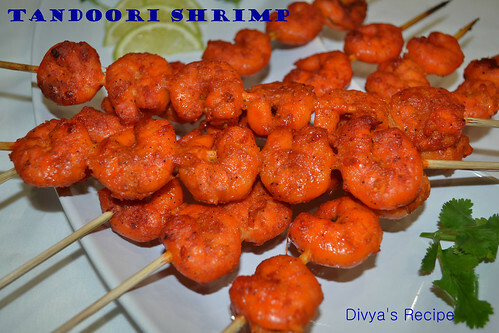 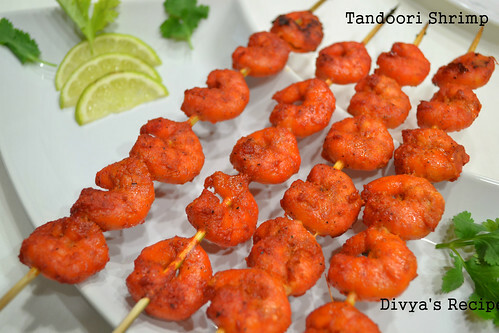 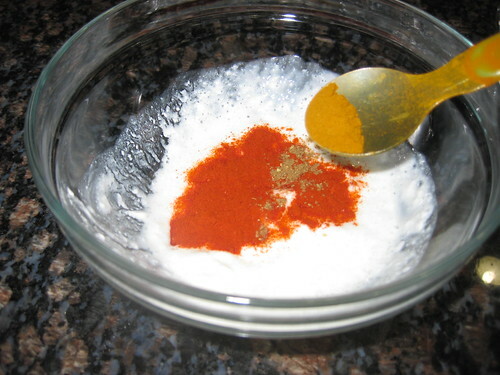 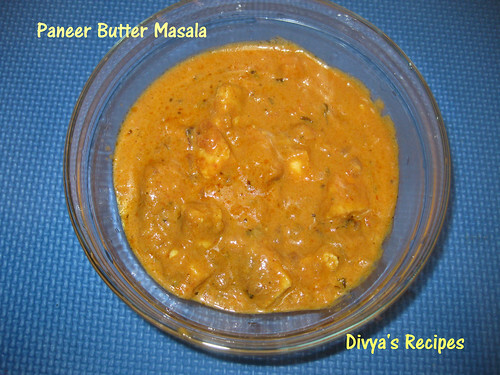 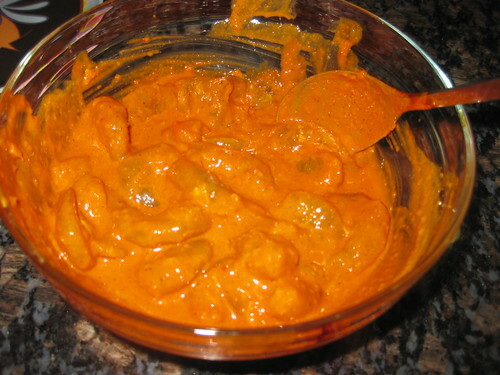 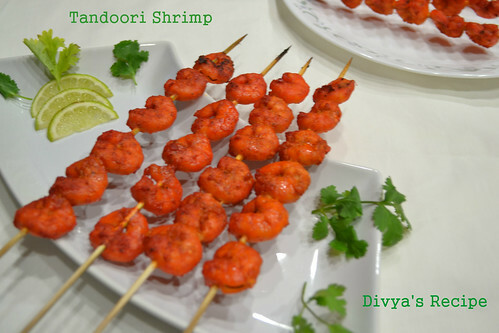 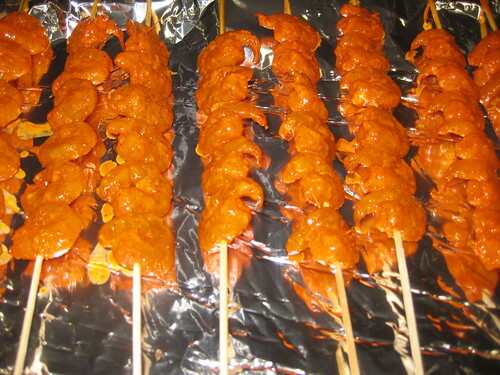 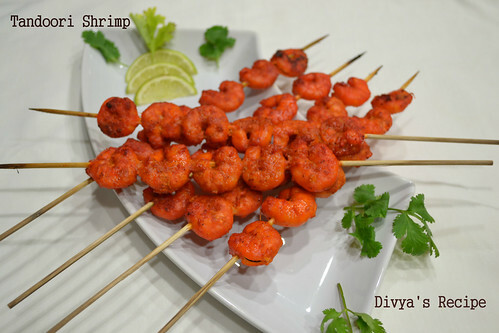 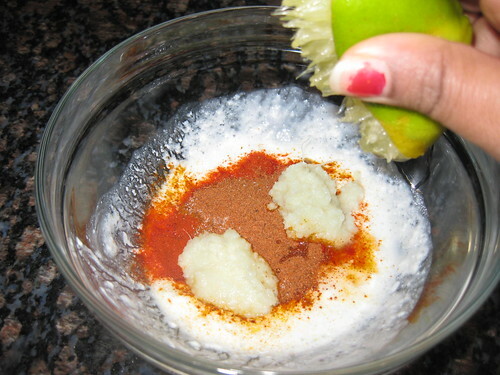 Garnish with cream and serve hot with rotis or naan.